McALLEN — McAllen High running back Josh McGowen burst onto the Valley football scene in 2015 showing no mercy and taking no prisoners. McGowen broke and set McHi rushing records that fall, and for the most part ran up and down District 30-6A until defensive coordinators were sick of seeing No. 22 use his sprinter’s speed to accumulate 1,891 rushing yards and 28 total touchdowns. McGowen — an Army brat who landed at McHi via his father Tommy, a McAllen native — leveraged his success into a full ride to play football with the Lumberjacks of Stephen F. Austin, a Southland Conference school. However, he redshirted his first season on the Nacogdoches campus. McGowen has had to bide his time, watch and wait. It wasn’t easy, but he now sees the big picture. And McGowen turned up in an impressive way. 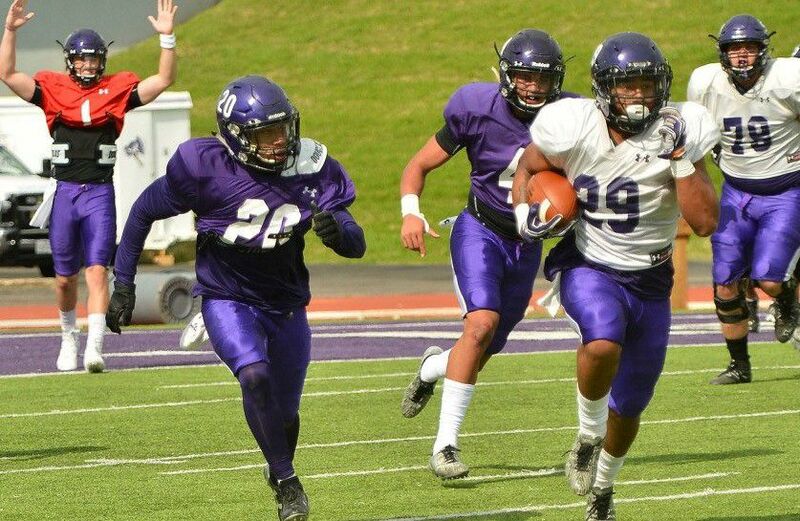 During SFA’s spring game, McGowen was one of the few bright spots for the Lumberjacks’ offense. He broke away for a 97-yard touchdown run and had several other big plays, some of which the SFA athletics department (@SFA_Athletics) tweeted video of. SFA head coach Clint Conque took notice of McGowen’s spring performances and bestowed the 19-year-old with three spring football awards. McGowen earned awards for most outstanding offensive achievements, outstanding performance among newcomers and for top overall performance. McGowen takes it all in stride, and said while he had success in spring, nothing will be given to him in the fall. Whatever running back is playing the best will get the ball. McHi was fortunate to have McGowen join the Bulldogs for his senior year. In addition to setting records on the gridiron, he was also a state champion hurdler. Even though it was just one school year, McGowen said he will always have fond memories of McHi — especially of the locker room camaraderie and sitting in the tunnel just before football games started. He also offered advice to future Bulldogs. McGowen’s new team will take on SMU on Sept. 2 in Dallas to open the season. SFA also faces rival Sam Houston State on Oct. 7 at NRG Stadium in Houston. Freshmen Ruby Trejo and Gabrielle Fonseca were a big part of McLennan County College’s success on the softball diamond this year. Trejo, a right-handed shortstop from Donna High, hit .321 in 31 games and 58 plate appearances. She had 11 RBIs and scored 10 runs for the Highlassies. Fonseca, a PSJA High alum, batted .293 with 13 RBIs in 34 games. She also scored nine runs and stole three bases in 87 plate appearances for the Waco school. Fonseca, an infielder often in the lineup as a designated hitter, also had an outstanding 1.000 fielding percentage in conference play. McLennan went 39-19 on the year. 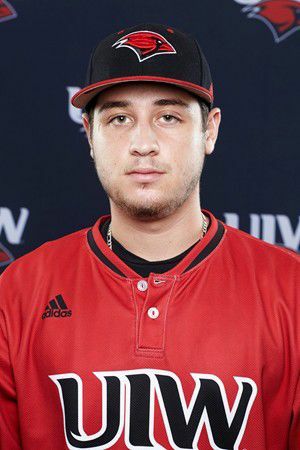 David Anaya left Brownsville Veterans Memorial for the University of the Incarnate Word last year, making the jump from high school to NCAA DI. The 6-foot-1, 180-pound freshman hasn’t missed a beat. The former all-metro MVP is batting .284, and the third baseman has started 50 games for the Southland Conference’s Cardinals. UIW has just two seniors on its spring roster and has scuffled some with a 20-33 record. Still, Anaya has recorded 54 hits in 190 at-bats with 33 RBIs and 35 runs scored. He’s patiently picked up 38 walks and hit three home runs, including one against the University of Texas Longhorns. Former Edinburg North all-state softball player Carolina Flores completed her second and final season with the Temple College Leopards in central Texas in spectacular form. The 5-foot-4 sophomore’s latest second-year stats showed her batting .409 with 27 hits and 11 runs in 22 games played for the season. The Leopards finished the year 39-17. Last season, Flores hit .324 with 24 stolen bases as Temple won the North Texas Junior College Athletic Conference title. The 20-year-old outfielder played for the Lady Cougars and graduated in 2015.